If you’re one of our regular readers, you know that at any given week, at least a dozen exhibitions featuring works from Chinese artists are going on in New York. However, the annual Asia Week New York, which began in 2009 with 16 Upper East Side galleries banding together to host open houses to welcome and draw those interested in arts from Asia, reminds us of the presence of collectors and art dealers in New York, that smaller galleries and art from other regions usually aren’t on our radar, and that we need to visit certain museums and institutions we haven’t been to in a while. This year’s Asia Week runs from March 9 – 18, with many exhibitions extending past the 10-day “week”. The over 40 participating galleries will host open houses the weekend of March 11 and 12. Many participants are also holding opening receptions and events. The full list of participating dealers, auction houses, museums, and institutions; a map of their locations; and a calendar of events are available on the Asia Week New York site. You can filter the list of participants based on your interests. We combed the listings for participants showing Chinese art and found that many of them present exquisite Chinese art or antiques. However, a few piqued our interest by exhibiting something we had not seen before or for being an interesting collection. You know Roy Lichtenstein and Robert Rauchenberg, but did you know about their forays into Chinese imagery? Stronger Together: Two Western Artists Who Embrace the Chinese Idiom shows two late-career examples by the American artists that meld Chinese visual elements with their signature styles. On view also are Square Word Calligraphy scrolls by Xu Bing. The exhibition runs from March 6 – 30. At their 40 Wooster Street location, the gallery debuts works by Beili Liu and works by photographer and performance artist Han Bing, emerging sculptor Zhou Rong, graphite artist Hui Chi Lee, and established porcelain painter Jared Fitzgerald. The shop, who last fall held a wonderful exhibition of Thomas Child’s photographs of late-Qing China, draws again from the Stephan Loewentheil Historical Photography of China Collection to display 30 original photographs taken by Western and Chinese photographers, such as Lai Fong, Felice Beato, John Thomson, Thomas Child, William Saunders, Pun Lun, Tung Hing, and many others. Masterpieces of Early Chinese Photography contains works by these masters as well as by less well-known but highly accomplished photographers. There will be an opening reception Friday, March 10 6 – 9 PM. A gallery talk will take place Tuesday, March 14, 7 – 8:30 PM. 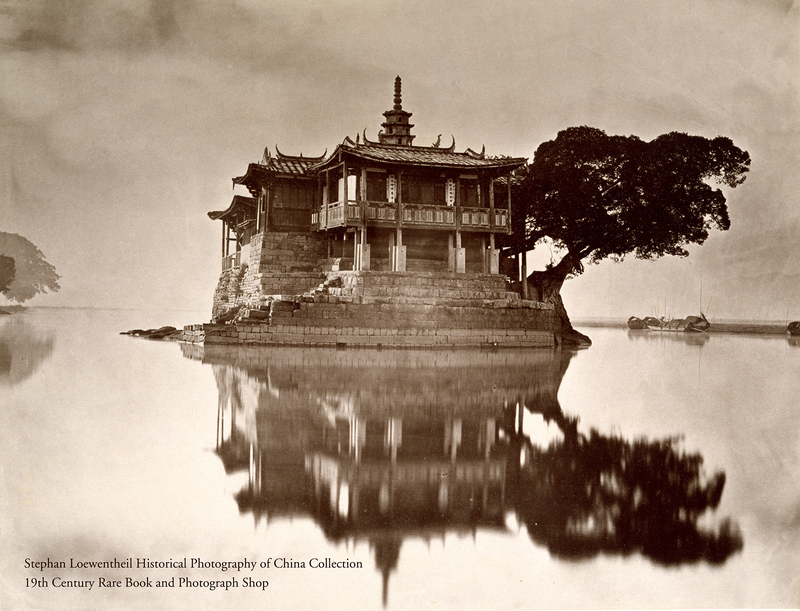 John Thomson (British, 1837-1921) – ‘Island Pagoda’, c. 1873, from the album, ‘Foochow and the River Min’, Published in London, 1873. Carbon print, 8 3/4 x 11 1/4 in. China Now: New Literati Art from the Beijing-based gallery features compelling new works by some of the most influential Chinese artists working today: Bingyi, Li Huasheng, Li Jin, Yang Jiechang, and Zheng Chongbin. These artists bring the pre-modern philosophy of the Chinese literati, which sees humankind as a microcosm of a universe in flux and emphasizes cultivation of one’s humanity through practice of the arts, into global contemporary artistic practices. If you’re interested jewelry design, stop by Have You Seen “Contemporary Chinese Fine Jewelry” Before? which showcases pieces by Hong Kong-based fine jewelers Yewn. Their elaborate luxury designs incorporate Chinese elements, as seen in the ring below, which First Lady Obama wore when she and the President Obama met with Queen of England and Prince Philip at Winfield House in 2016. There will be opening party Friday, March 10, 5 –9 PM. I visited this gallery a few years ago, before Beyond Chinatown was launched, to see works by Fung Ming Chip. While admiring the creativity behind his invented calligraphic styles, I was able to view landscape paintings by other artists, many from Taiwan. Sutherland has a good eye for traditional techniques and imagery that have been applied to contemporary painting. 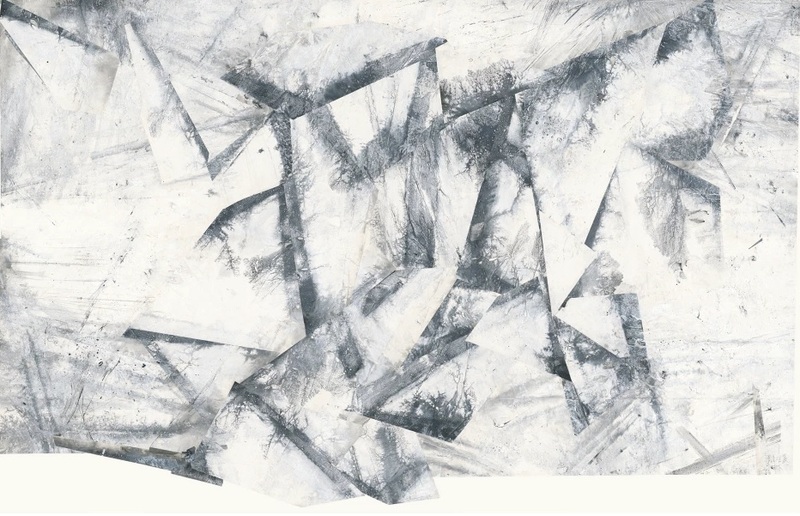 Works Hsu Kuo-huang, Hsai I-Fu, Zhu Jinshi, Zhu Daoping, Hu Xiaodong, Hung Hsien, Hai Tao, Liang Quan, and Yang Mian are on view in Guo Hua: Defining Contemporary Chinese Painting. The exhibition runs from March 9 – April 29. Opening party: Friday, March 10, 6 – 8 PM. 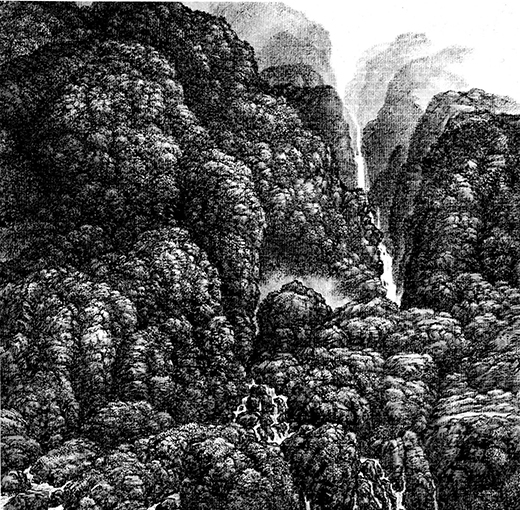 Hsia I-Fu – ‘Waterfalls’, 2001. 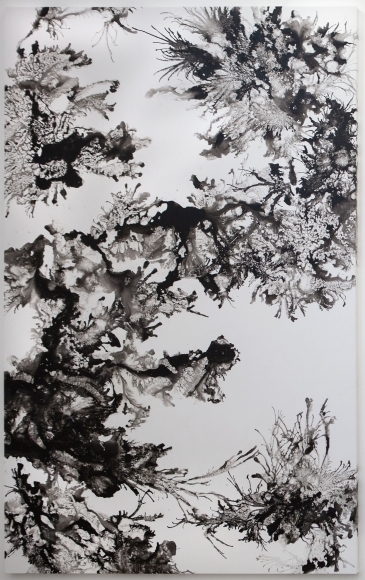 Ink on Xuan paper, 33.5 x 34 cm. River of Stars is a exhibition that includes 30 Chinese paintings, 14 Japanese paintings and 32 Chinese works of art, ranging in date from the 6th century B.C. to the 21st century. This broad collection demonstrates the varieties of techniques and expressions in traditional paintings and offer a chance to compare works from different artists, periods, and regions. The exhibition runs from March 8 – April 28. Ye Shuangshi – ‘Silver Pheasants under Spring Blossoms’, Later 15th-16th century. 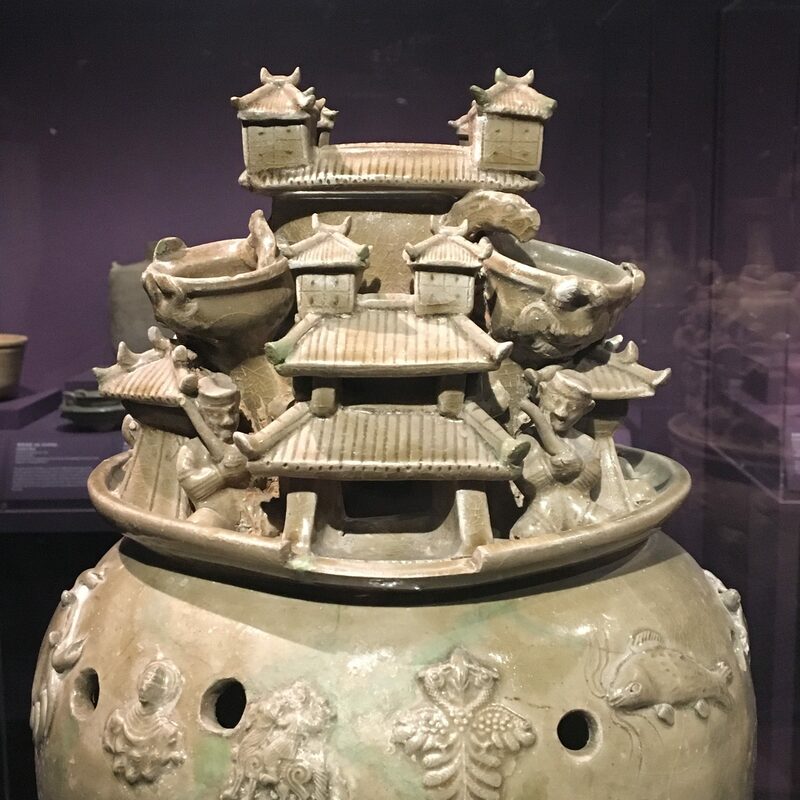 If you haven’t seen China Institute’s Art in a Time of Chaos: Masterworks from Six Dynasties China: 3rd–6th Centuries be sure to do so before March 19. The exhibition’s ancient Chinese objects are not quite the same as what you may have seen in museum collections. More importantly, the exhibition, which covers the period during which Buddhism made its way to China, provides context that helps viewers appreciate their historic and cultural significance. On March 15, gallery director and chief curator of the show Willow Hai will give a talk about the significance of the Seven Sages, a recurring theme in art many the dynasties. China Institute also hosts an open house from 10 AM to 8 PM on March 16 with free admission to the gallery. Celadon soul urn with modeled figures and pavilion. Three Kingdoms period, Wu kingdom, date first year of Fenghuang (272). Glazed porcelain. This museum, just 25 minutes from Penn Station, isn’t always on our radar, but their exhibition Musical Arts of Asia, which celebrates music through the arts of East and South Asia, reminds us that it should. Prints, paintings, and hand-crafted works of non-Western instruments and representations of musical traditions are featured along with audio and video multimedia. The exhibition is on view from March 8 – February 25, 2018. Album Folio of Women Playing Qin, China, Qing Dynasty (1644-1911). Ink, gold, colors, silk. 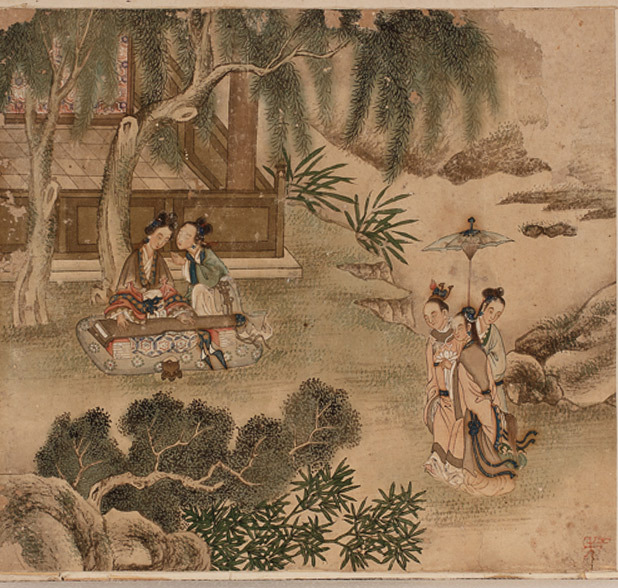 Christie’s and Sotheby’s host pre-auction viewings for Chinese paintings, porcelains, and other objects. Even if you’re not a player in the art market, you’re free to attend the viewings — they are open to the public.